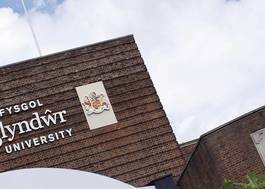 Study Radio Production (with Foundation Year) at Glyndwr University, Wrexham - Which? Accepted alongside A-Levels as part of overall 48 UCAS Tariff requirement. Accepted as part of overall 48 UCAS Tariff requirement. Accepted alongside Irish Leaving Certificate Higher Level as part of overall 48 UCAS Tariff requirement. Our general entry requirement for the foundation year is 48 UCAS tariff points but all applications are considered individually and we consider work experience, vocational training/qualifications as well as motivation and potential to succeed. The programme welcomes applications from anyone who can demonstrate a commitment to the subject and the potential to complete their chosen programme successfully. This can be established by showing appropriate academic achievements or by demonstrating that they possess the knowledge and ability equivalent to the academic qualifications. Accepted as part of overall 48 UCAS Tariff point requirement. Learn and work in a real production environment – this Radio Production course is developed in close collaboration with leading industry experts and professional radio producers. The course, which focusses on exploring current and emerging technologies applicable to radio production, is different to many as students can engage in the day-to-day operation of the FM radio station and production facilities , extending student participation beyond the lecture theatre. Students will also develop a theoretical and practical understanding across a range of skills in radio production, Journalism, Media Business, and Broadcasting and Presentation skills. The course centres around the use of the university’s community radio station where students explore the various styles and methods for producing radio shows in an eclectic range of genres. It is designed to teach and develop skills across disciplines and covers a broad range of technologies that will help in the development of your own portfolio. 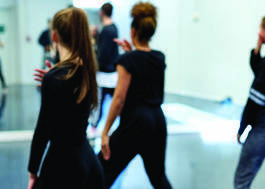 As well as the radio studio, the course is built around the practical use of the university’s Centre for the Creative Industries and its wide range of facilities. The centre is home to BBC Cymru Wales in North East Wales. The information listed in this section is an overview of the academic content of the programme that will take the form of either core or option modules. Modules are designated as core or option in accordance with professional body requirements and internal academic framework review, so may be subject to change.. There is a range of assessment methods used for this course including creating radio productions, essays, work based learning, portfolios, reports, and presentations. 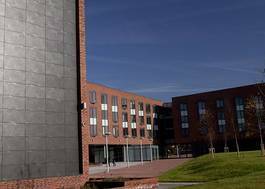 Wrexham Glynd?r University is committed to supporting our students to maximise their academic potential.